Hyannis is sort of the capital of the mid-Cape, and it’s a hub of activity in the summer. There’s a vibrant Main St. with lots of shops & restaurants, bustling traffic near the ferry landing, and pleasant roads around the harbor. 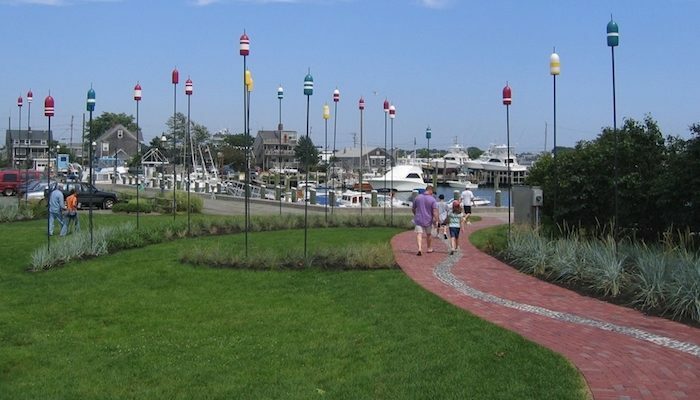 Our route is a 5-mile tour of the best roads along the water in Hyannis. There are water views along a good part of the route. Start on Main St., at the JFK Hyannis Museum. Head down Ocean St. toward the water, for a little over a mile, to . There are good water views most of the way, to Kalmus Beach. Enjoy Hawes St. for a bit and head back along Ocean St., passing Veterans Park and the JFK Memorial. Just after that, take a right on Harbor Bluff Rd., for a quick jaunt around Harbor Bluff (Bayshore Rd. ), and along a dedicated path around Hyannis Inner Harbor, for about 1 mile. The final mile does a quick loop down the eastern part of the harbor (Willow St., Bayview St.), and take either Pleasant St. or School St. back to Main St.